Well, I haven't posted in a while; my Internet has been down. So, I'm going to post two of my crabs this time: Melika and Mako. >This is Melika. She is a purple pincher, or Coenobita clypeatus. Mako and Melika are like brother and sister. They both had the same story. My neice, Rina, came home with two hermit crabs. They were kept in bad conditions, so I took them off of her. Now, they are both doing wonderful! >Mako is a brother to Melika. They constantly hang out. He had the same past and they have been friends since. Mako, in this picture, is in a turitella shell that is very long. Since the picture, he has changed. 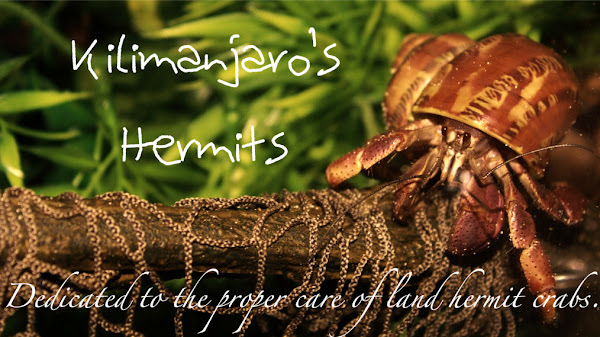 Tomorrow I'll post my two Strawberry hermit crabs!